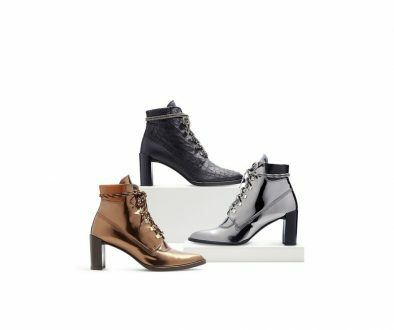 So, I just returned from an afternoon of glorious shoe shopping event, and chicsters, I hit it big! Dillard’s has two entire rows fuuull of shoes 70-percent off, and I found three different steals. These Vince Camuto‘s are my absolute favs (who knew I could still wear a 5 1/2?? gosh, I love small feet!)! They only cost me $40 – now that’s a steal. 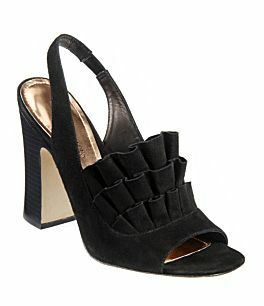 And with the black suede I can wear them all fall with tights and leggings. The slingback style is so, very comfortable, too. Did I mention ruffles are my new thing? Bargains abound – get thee (tiny of large!) feet to Dillard’s now! 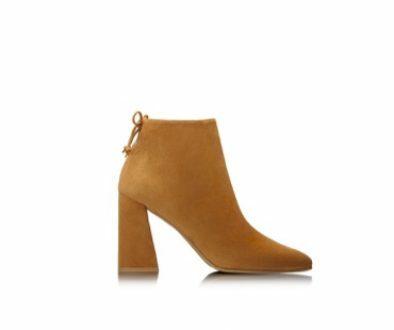 Share the post "My Shoe Shopping Steals!"